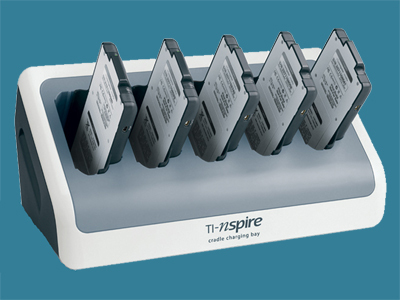 The TI-Nspire Cradle Charging Bay is compatible with the TI-Nspire Navigator Wireless Cradle and TI-Nspire Lab Cradle. It charges up to 5 units in 6 hours. © Joerg Woerner, March 16, 2011. No reprints without written permission.